In the first race of the day, the left was definitely paying on the first upwind, with a number of new faces at the front. Chris Turner, from Britain led round the top from Joe Schubert, of Denmark, while Cumbley, in third, was one of the few leaders at the front. Cumbley soon passed Schubert and then Turner to cover them up the final beat for the race win and at this point had taken the overall lead. The final race would be the decider between the top three, but a big shift soon after the start left Hansson-Mild and Cumbley well back and struggling to catch up. Lööf got it right to lead round the top from Bo Petersen, of Denmark, and Valérian Lebrun, from France. 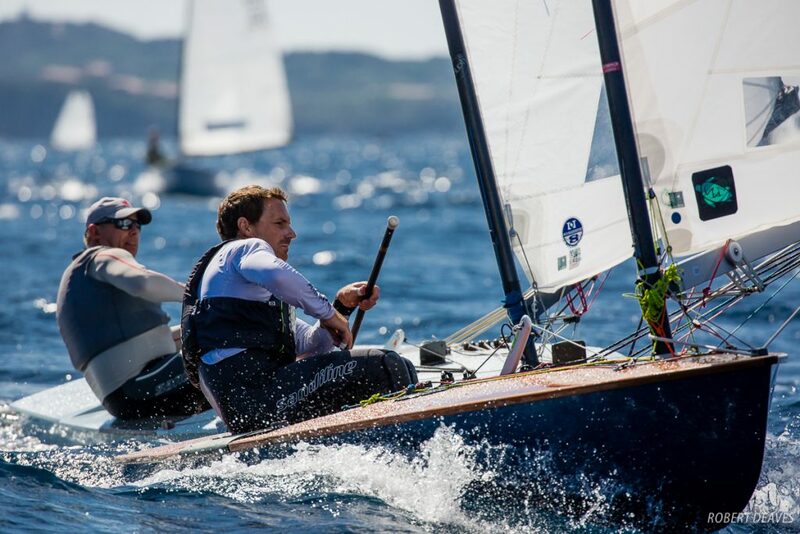 These three extended on the fleet and while the two other contenders closed on the leaders they could got get close enough to challenge Lööf’s looming victory. Finally they ran out of race track and a delighted Lööf crossed the line, hat in the air, and smiling from ear to ear. 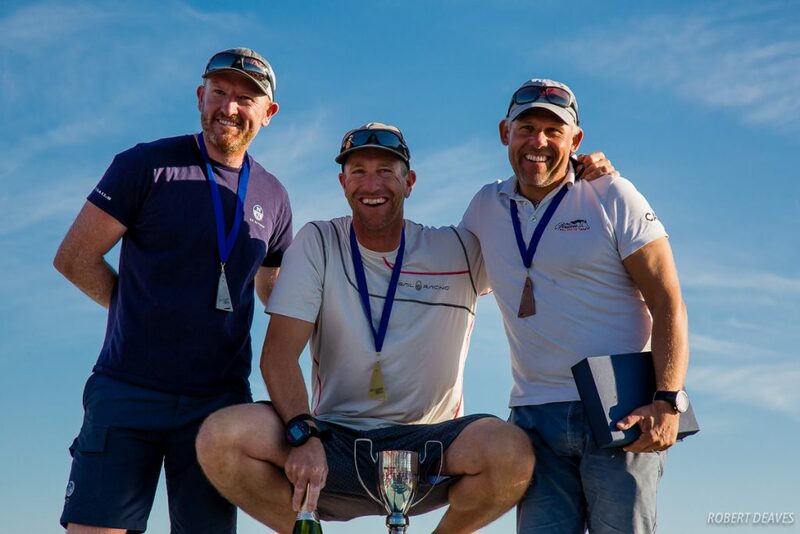 Cumbley had taken the silver by one point from Hansson-Mild. 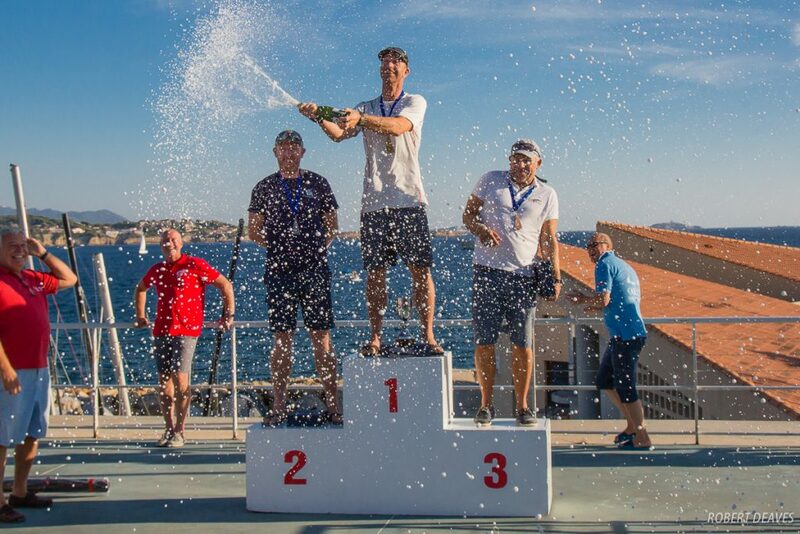 The prizegiving was held on top of the roof of the Societé Nautique de Bandol (SNB) overlooking the race area on a beautiful, hot and sunny afternoon. Will Heritage, from Britain won the Junior prize, while Mary Reddyhoff, also from Britain won the Ladies prize. 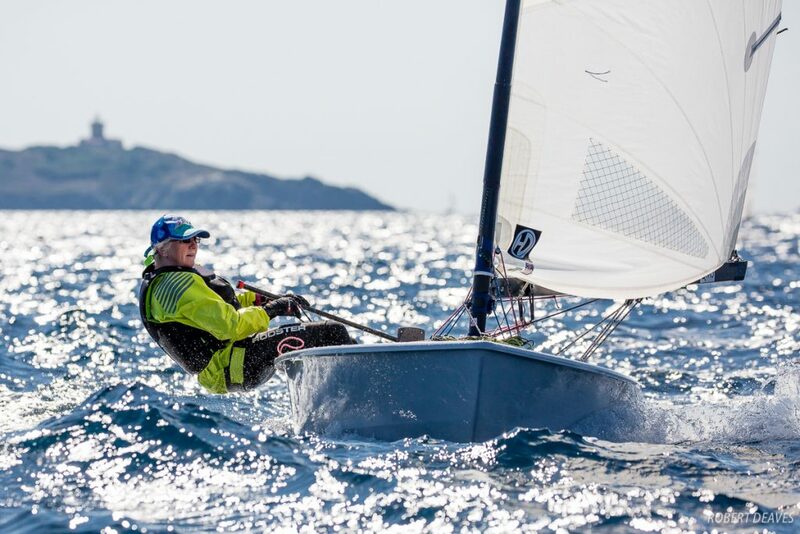 Fifty years after he sailed the OK Dinghy World Championship here, Jørgen Lindhardtsen won the over 70s prize. Art of Racing sponsored a prize with a raffle for a new boom, which ended up being presented to Laurent Petetin, the President of the SNB. 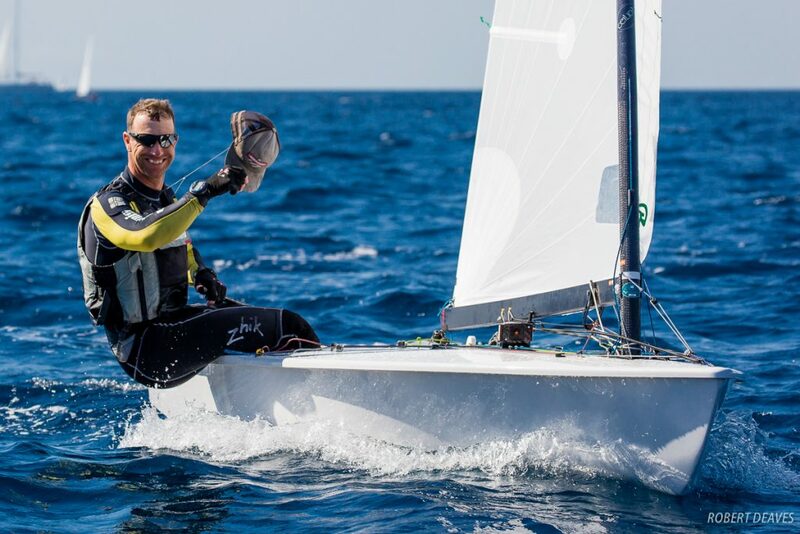 The SNB has been the perfect host and the OK Dinghy class looks forward to coming back to Bandol soon. 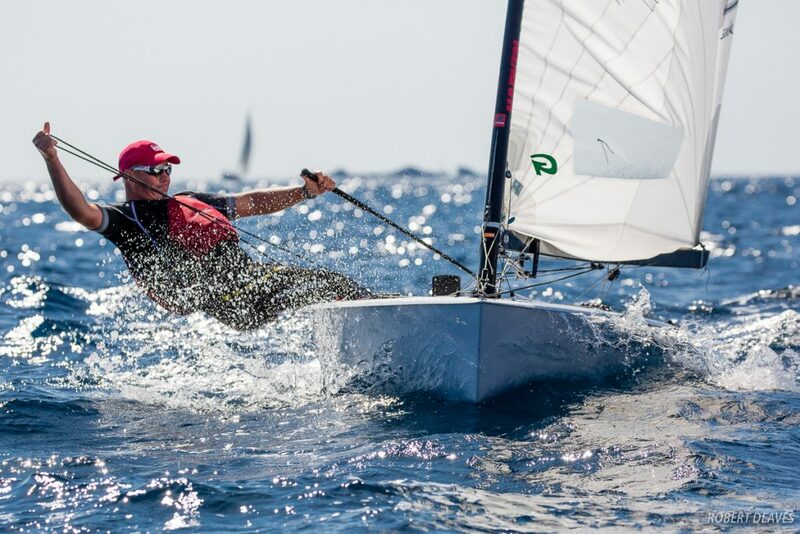 Even so, the next Mediterranean championship has also been arranged for May 2019 and you get the feeling that quite a few sailors racing this week might be back. It has been just so much fun in a beautiful location.